The CEO Mr. Amighetti’s presence at Bengal Global Business Summit. 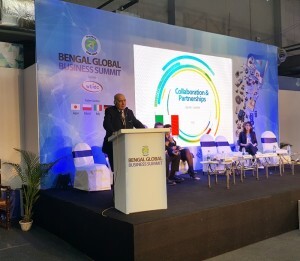 The CEO Pietro Luigi Amighetti has taken part to the Bengal Global Business Summit in Kolkata on January 20-21. Clicking the link you will find the article issued on Sunday Times of India and some pictures taken during his speech at Summit.